For 2016 We designed these DL flyers to promote the Marine aspect of Wavehunters. Focussing on the seas safaris and the dramatic scenery that can all be seen by their impressive speed boat. 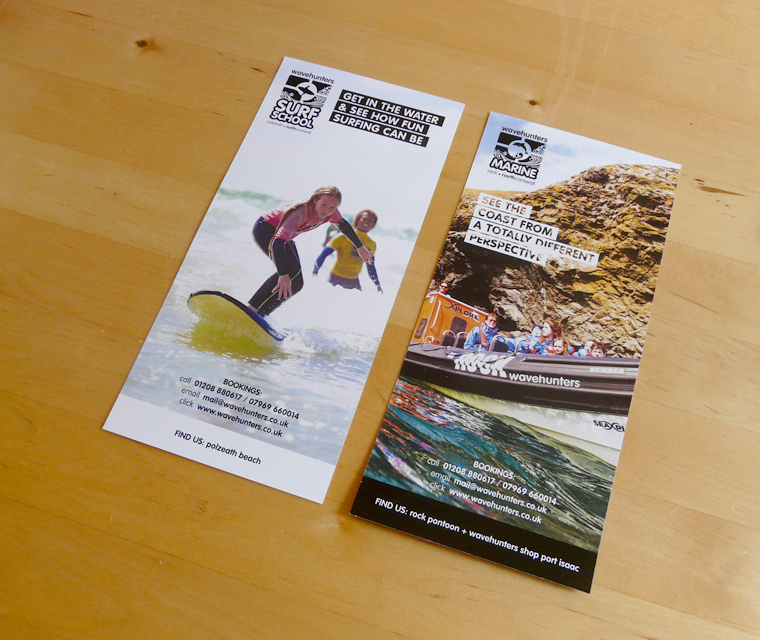 2015 the tourist stands we designed this A4 folded to DL leaflet. Printed full colour on 150gsm stock. Bright pictures illustrate all the activities and bring a sense of fun. 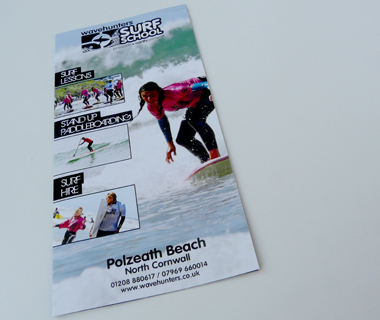 Eye-catching imagery communicates the ethos of the Polzeath surf school. 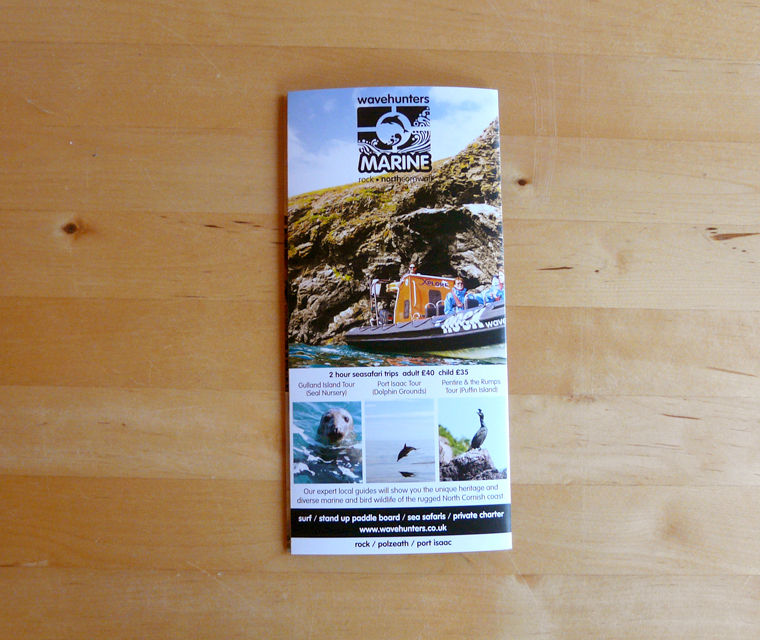 The leaflet also introduces the new Marine aspect of the brand with sea safaris, water taxi and private charter. 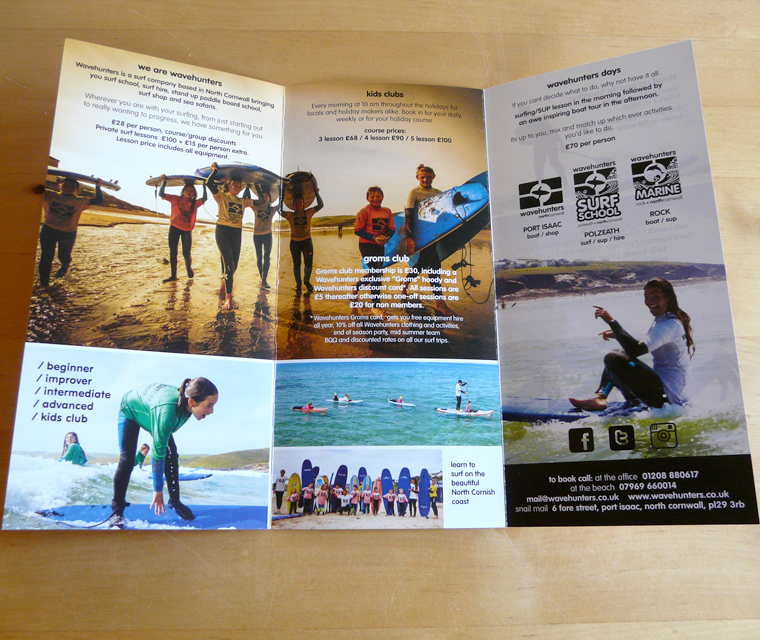 The DL flyers we designed for the surf school right on Polzeath beach and their coastal cruises. 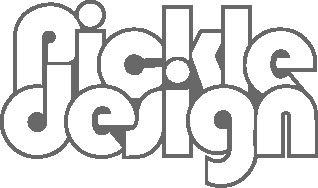 The two aspects of their brand needed a common thread. With bright and eye-catching images on the front page and a key phrase. The reverse of the two DL flyers for Wavehunters are packed with all that they offer, and great pictures creating a ‘get involved’ vibe. They were printed on 300gsm silk stock. 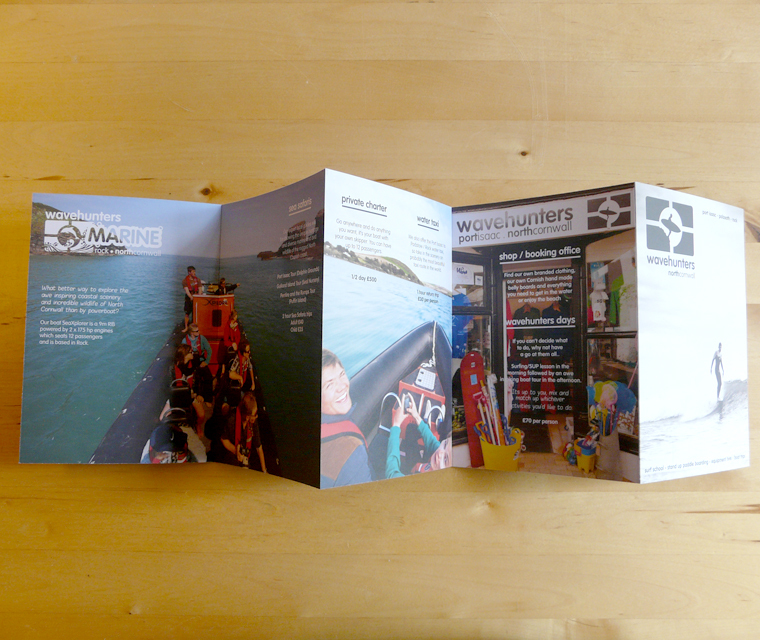 A detail of the ten page concertina fold leaflet we designed and printed for Wavehunters. Printed uncoated on 300gsm stock to give texture. 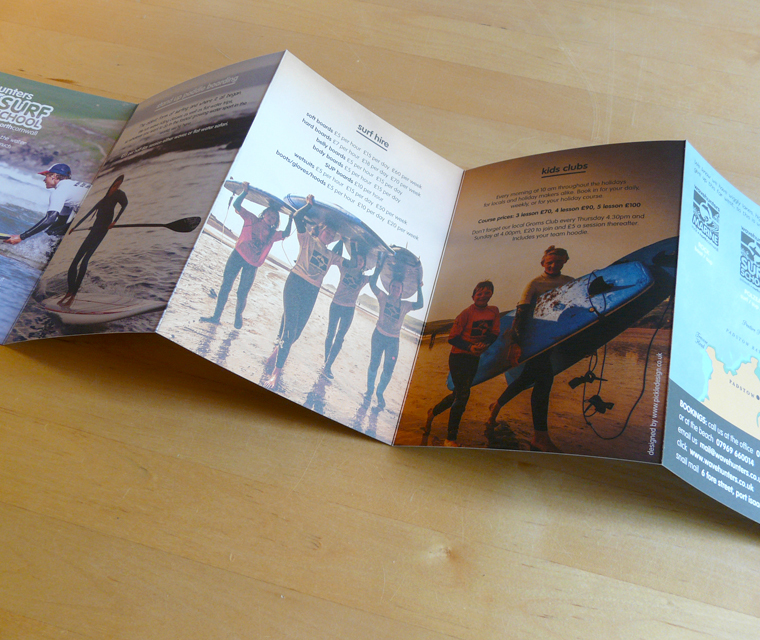 The exterior of the ten page concertina fold flyer designed and printed for Wavehunters. Strong images make them stand out as unique. Printed uncoated on 300gsm stock. 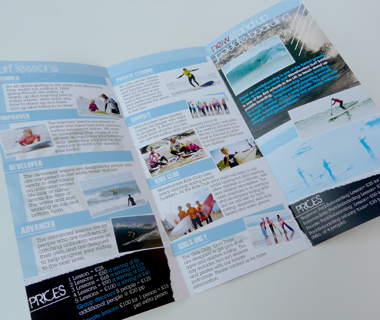 The cover of the six page DL leaflet designed for Wavehunters Surf School, designed to attract the attention of novices without putting off more experienced surfers. 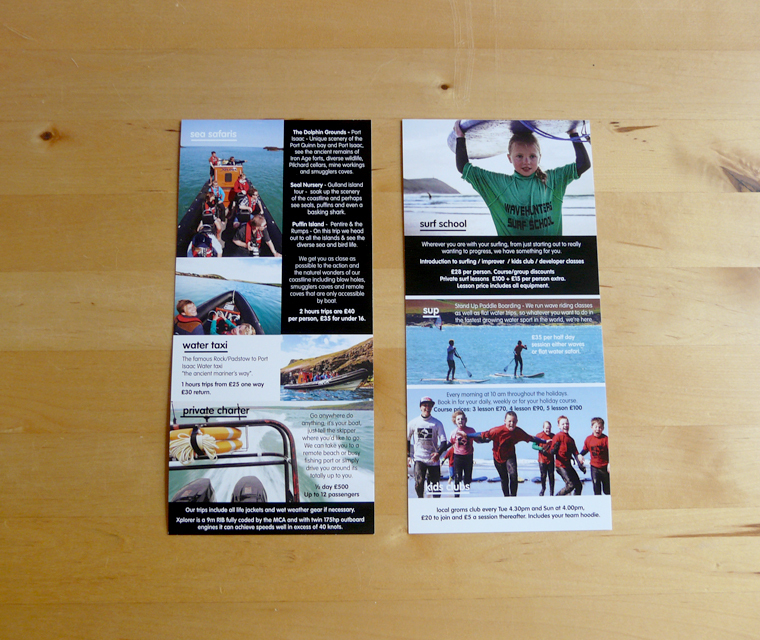 The inside spread of the Wavehunters leaflet contains a great deal of information and the challenge was to ensure it did not become wordy.